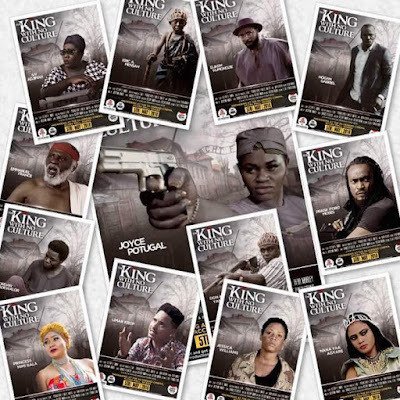 The most talk about movie “The king with no culture “ had a thriller launch on 12 March for the grand premiere which is scheduled for May 5, 2018 at a press conference at Tenko plaza hotel , the CEO of DMF Productions(Destiny Austine Omon) who doubles as the producer and director confirmed they spent a whole year putting together the first ever ghanaian epic move to hit the big screen. A movie that featured the likes of Elikem Kumordzie, Jessica williams, Emmanuel France, Jordan Adorwalo, Hogan gabriel , Umar krup, Vicky Zugah, Don K Yamoah, Nana Yaa Agyare, Princess Mimi Bala, Vicky Zugah and many others is rated as the highest budget local movie as the cast confirmed this was their highest paid local movie ever at the press conference. The producer of This movie also happens to be the first ever producer to introduce artist commission or loyalty on ticket sales. The tickets are out and the only way to kill your curiosity is to get a ticket and see how a king will reign without culture.